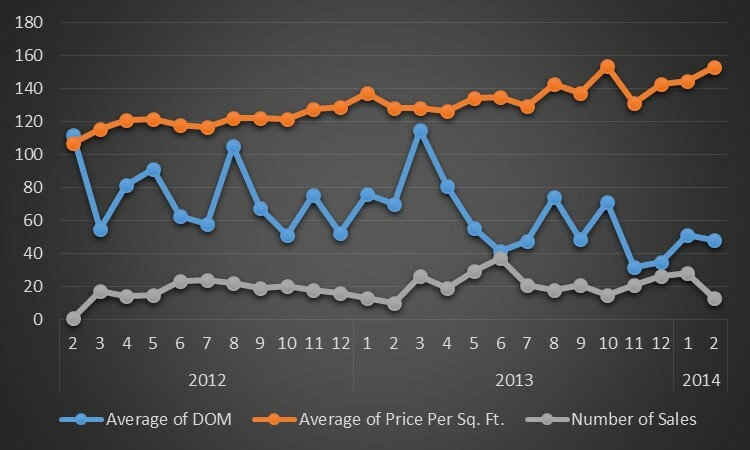 Feb. 27, 2014 - PRLog -- As you can see on the graph below, market is showing steady grow in price per Sq. ft. Average days on market dropped significantly from around 90 days at the beginning of 2012 to around 40 with recent sales in 2014. Number of transactions per month are still shy but it is growing as more owners see an opportunity to sell now that property values are moving up. Good times are coming ahead. Please stay tuned for more updates.